So I haven’t been all that interested in being creative, as in I didn’t even want to set foot in my craft studio. I’d go in and sit and look and think I should just get rid of everything and turn this back into a guest bedroom. Well, I didn’t get rid of everything but I did cut my collection of stuff wayy down. Still I wasn’t feeling any creative desire. Add to that we got a new Great Dane puppy named Cooper and well I’d rather play with him. Plus he doesn’t have full house privileges yet, he’s only been with us a month and at 13 weeks old, while he’s pretty trustworthy about letting you know he needs to go out, well accidents happen and I’d rather they not happen on the wall to wall carpet in there! 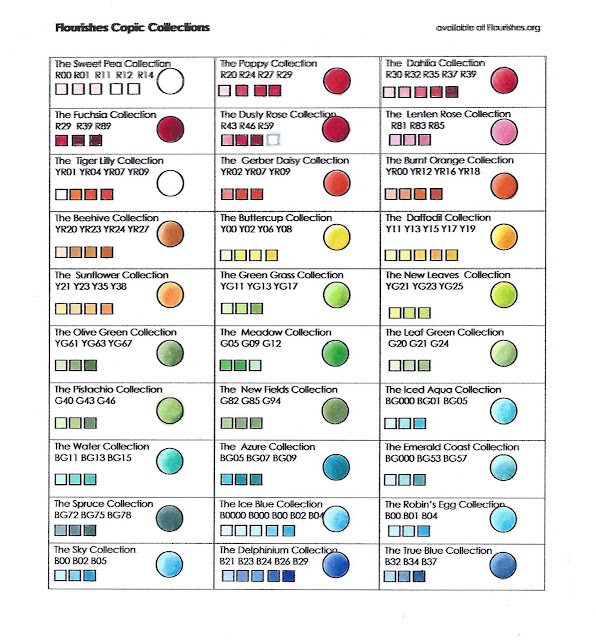 The last time I saw my gal pal Kathy, she shared a site with me Just 4 Fun Crafts (Dove Art Studio) that has this really cool Copic colors of the day. That made me want to play with my Copics, so I brought them downstairs. I printed out a new chart and was thinking of ordering a few more to add to my collection, which led me to look for other charts and I found a few that I thought were pretty cool. 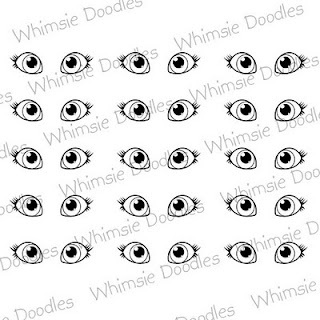 The first was from Whimsie Doodle and it’s all about the eyes! 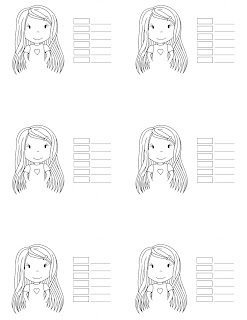 If you follow the link above it will take you to the page and you can see her tutorial and print out the eye sheet for free! The next one I found was for hair and skin on Heather's Hobbie Haven. She has a lot of great tutorials as well as free pintables to go with them! Like this one called Avery. My final share for today is Michelle’s MBellishments she has a really cool chart that coordinates with the color combos from Flourishes, you can see her samples as well as grab the charts for free! Now before you ask, no I still haven’t gotten creative and I haven’t filled in all the charts either lol. I got a little sidetracked by a really cool guy, his names Tim…but that’s another post! How handsome is Cooper?! Gorgeous! Hi Angie! Love the links....will be playing around with these someday soon....Tim?..Is it Tim Holtz?